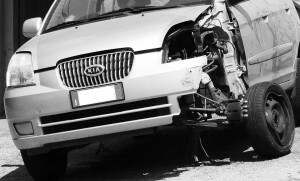 Being in a car wreck, no matter how big or small, can be extremely stressful. However, that stress can intensify if you aren't sure of how to react to the situation. For that reason, this post will share a few post on the matter. While it's true that we don't get that much rain here in Arizona, this doesn't mean that we shouldn't be prepared for it! On the contrary, if you don't want to be caught off guard this wet season, you should read the tips below so you can drive safely through the rain. Buying a vehicle, old or new, can be a nerve-wracking situation. However, when you're opting for a previously owned vehicle, there are even more things to worry about. To help you decide what vehicle you should invest in, the following post will share some tips you can follow. The oil in your vehicle has the important job of keeping your engine in top working shape. However, in order to do so, it needs to be replaced every so often. If you're unsure of when you should be pouring new oil into your vehicle, the post below has some signs you should look out for.